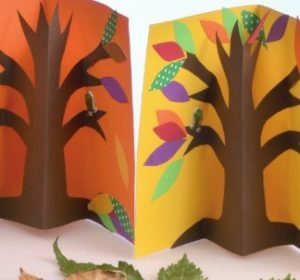 Make these ‘pop up’ 3D autumn cards, to help you discuss the seasons and why leaves change colour at this time of year. Loads of other fun autumn inspired activities and projects can be found in this Autumn issue – including leaf bowls, scarcrows, hedgehogs, apple printing and more. Step-by-step instructions and printable templates provided – or just use this for inspiration to encourage learning through creative play.